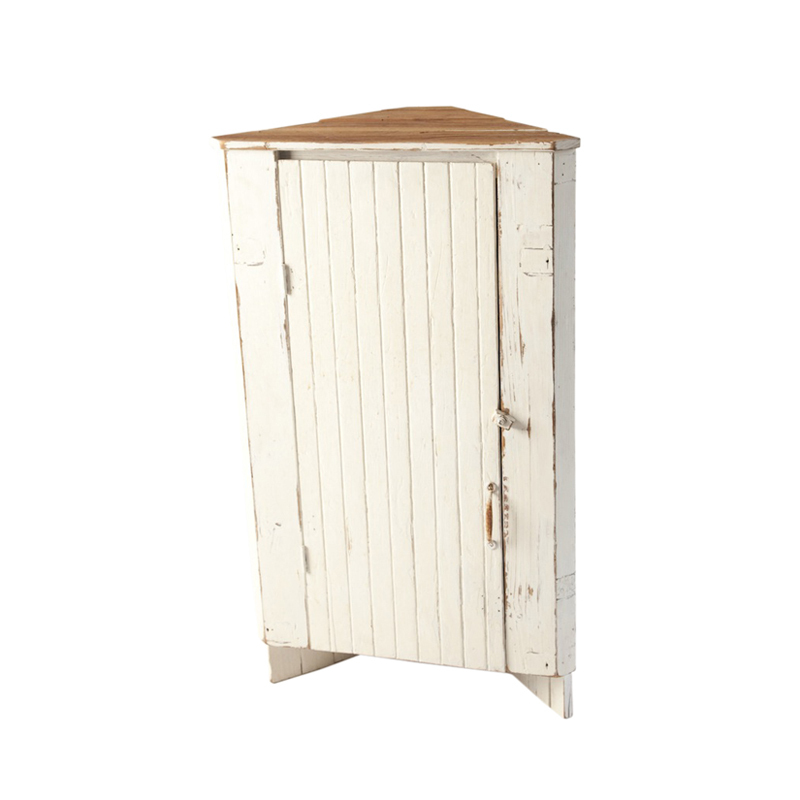 White corner cabinet can sit on top of a table to extra heigh in a display. Door opens to reveal shelves. Back sides of cabinet are unfinished.